Working with Tom these past 6 weeks has been a wonderful experience. He has been a coach in every sense of the word. He has pushed me out of my comfort zone, gave me what seems to be a never-ending task list, praised me for wins, guided me through hard times/decisions and given me great advice all along the way. He has truly gone above and beyond to make this experience fun, educational, and very honest. I appreciate his friendly and open demeanor even when working through hard topics. I also appreciate his very direct instructions, welcoming environment, and availability for all my many questions. 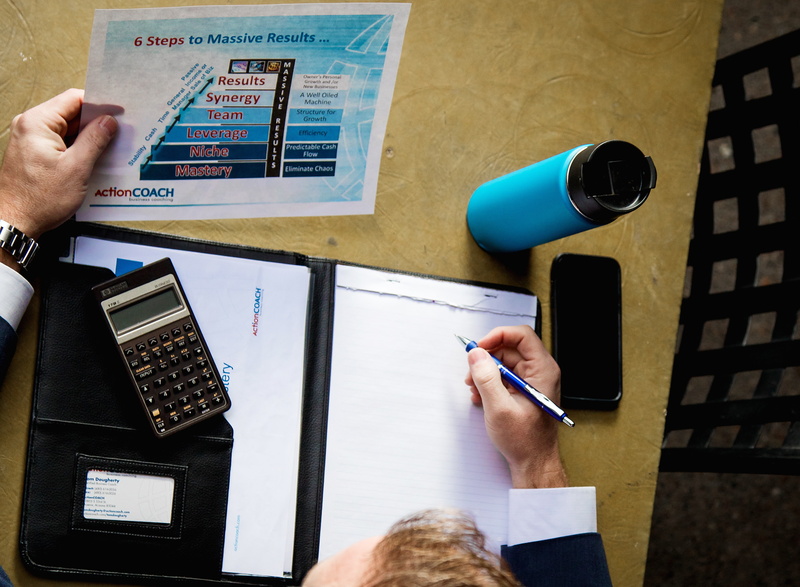 Above all, I am so glad to be working with Tom and ActionCOACH because they are truly teaching me how to be an incredible business woman and to build a very successful business. After working with Coach Tom for just 13 weeks I have seen a drastic change in both my personal life as well as my business. With the systems he has helped me create, the knowledge that he has shared, the positivity he exudes, and the drive to think bigger he has helped me thrive and helped my employees thrive along with me. I have learned to work on the business, not just in the business! I was able to leave on a vacation for 8 days with everything not only running smoothly but better than ever!